Our workshop is one of the Midlands’ leading insurance repair specialists, dealing with all makes of caravans and motorhomes. Our purpose built workshops are fully approved by Alko, Swift and Bailey. Ryedale Caravan and Leisure Ltd is also approved by The Caravan Club and The Camping and Caravanning Club. 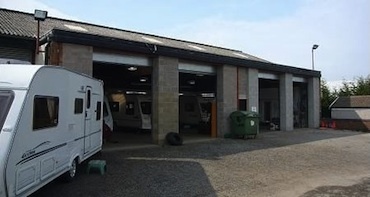 We have a team of fully trained and experienced technicians that are able to deal with everything from a basic service to a large motorhome insurance repair. Please ring our customer care department with any enquiries on 01509 508951. Or alternatively, please fill out our contact form.